Only 100 people had been invited to the show (editors and friends of the designer: photographer Nick Knight, Alber Elbaz (Lanvin), Kate Moss and Jamie Hince (The Kills), colleagues Manolo Blahnik and Christopher Bailey and one of his biggest fans Anna Wintour. The occasion? The long expected return of fashion ‚enfant terrible’ John Galliano for Maison Margiela. Galliano was not the obvious, minimal media-avoiding successor of Martin, but as I said when the news was announced a year ago: it was going to be controversial. Or a complete failure, or a bomb. 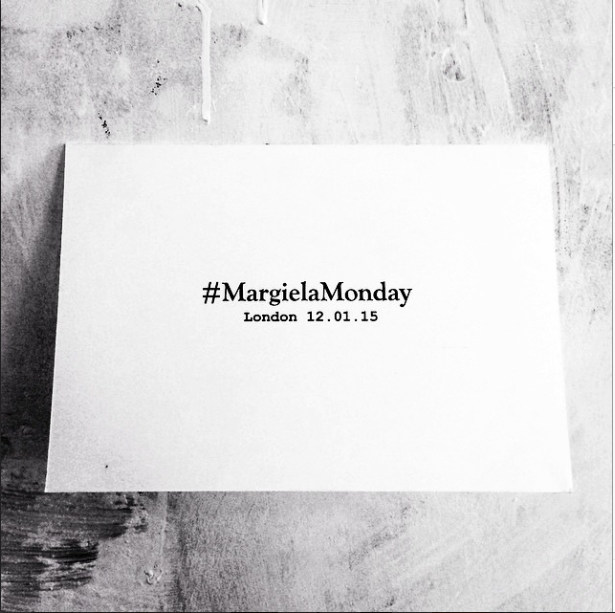 Four days before the collection, Margiela posted a black-and-white image of its invitation, which simply read: “#Margiela Monday. London 12.01.15”. Yesterday was the big moment. 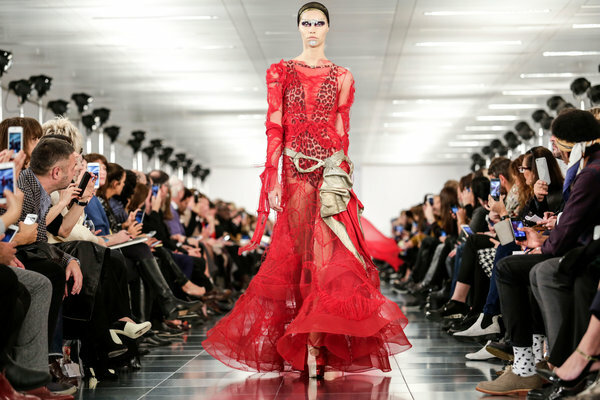 Galliano presented his first MMM Artisanal couture collection in an office block near Buckingham Palace in London. The seating was classic Margiela white, but the collection was far from minimal. 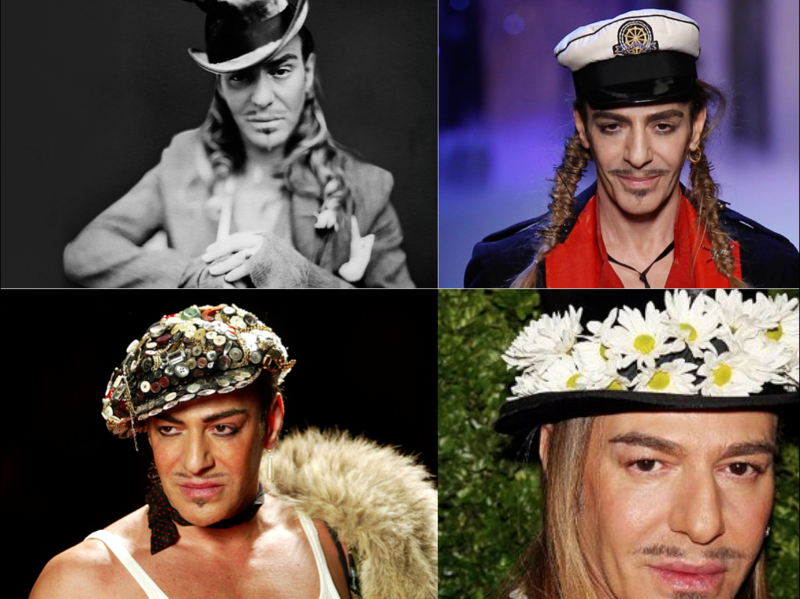 As expected/hoped/feared by many, it was Galliano all over. What a show! 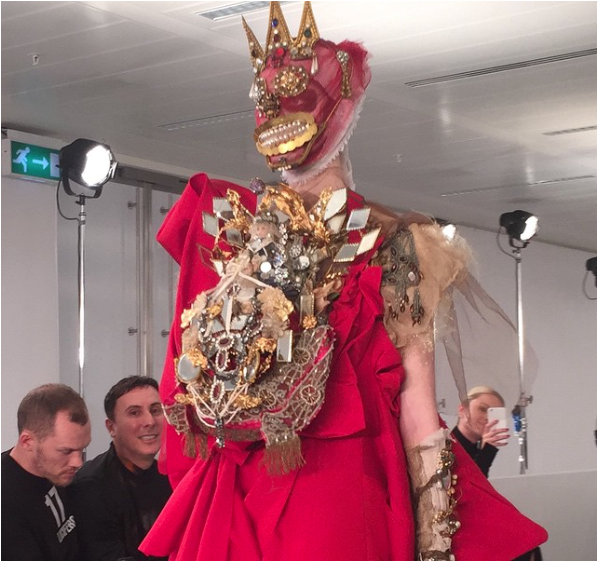 Beautiful draped dresses, elaborate headpieces and crowns by Stephen Jones, a shocking all-red coat with latex gloves, a magnificent red 3 dimensional mask as front ornament. 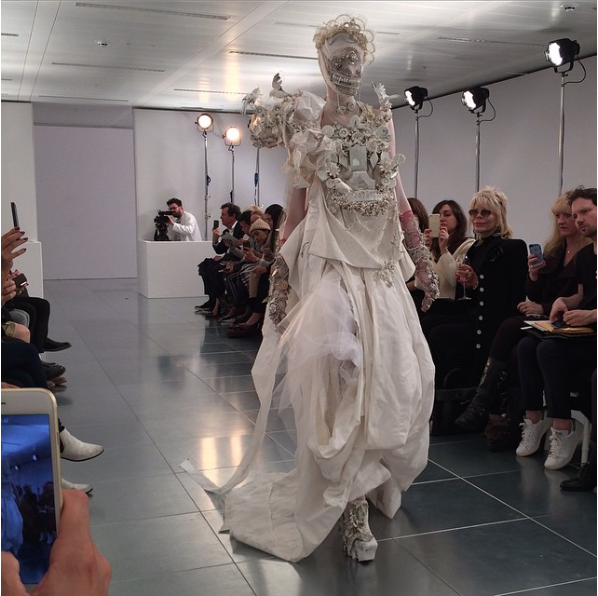 And a ghostly theatrical, deconstructed white wedding dress. But what a triumph! 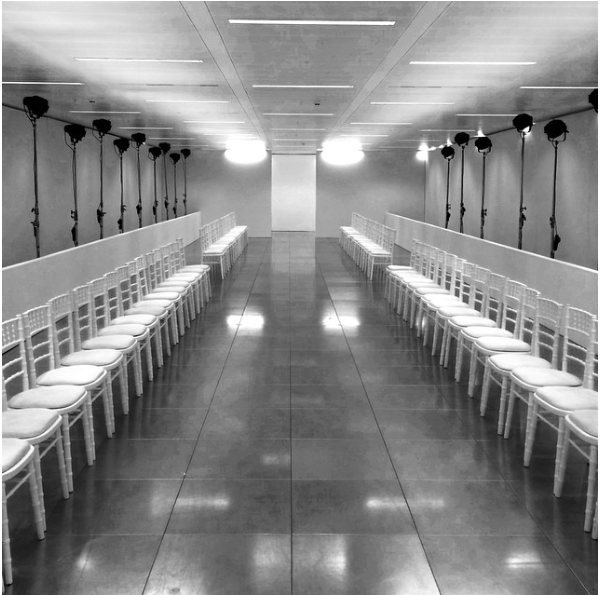 The seating was classic Margiela white, but the collection was far from minimal. Galliano for MMM, a very promising first show off. Not Martin, not a copy of Martin, not the old Galliano. We saw a new Galliano showing he understood the MMM legacy (deconstruction and superb tailoring), threw it away and made a new story. Fashion is back! 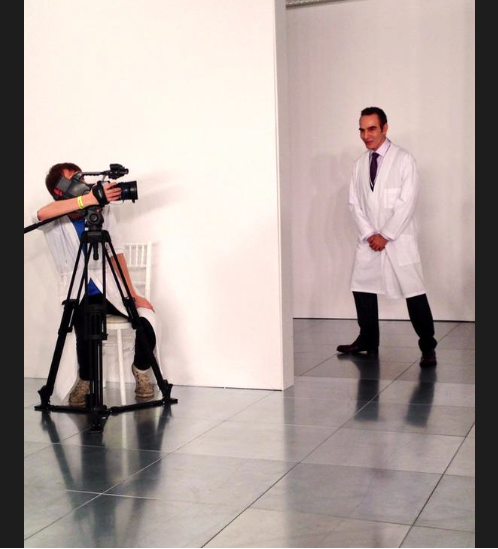 Ah, yes, John did wear the iconic MMM lab coat. A tribute to Martin. Off course. All images courtesy of Martin Margiela press file and Instagram account. The Squid Stories ‚Image of the day’ thanks the international fashion press for bringing this ‚Image of the day’ story. Previous PostThe Squid Stories image of the day #7. Next PostAn Instagram look back at 2014, part 1 FOOD.